Having been left bewildered by the peculiarity of Cats when I saw the UK tour last year, I struggled to put my finger on what it was that meant I didn't enjoy the show as much as I felt like I should have done. After all, I had found the dancing absolutely incredible, the singing was top notch, and the set design had really impressed me, but despite this I found myself leaving the theatre a little despondent. However, given that Cats is such an iconic music, loved by so many, I was really keen to watch it again and see if a second viewing would change my opinion, and so a few days ago that's just what I did, and lo and behold, this time I absolutely loved it! 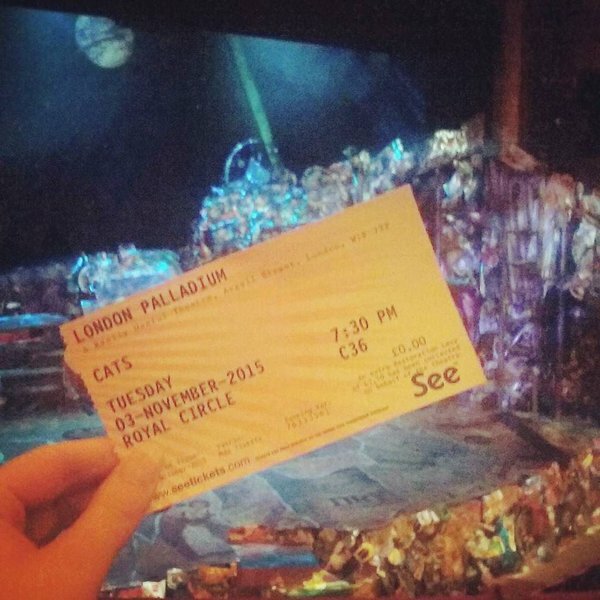 You can read my 4 star review of Cats at the London Palladium here if you fancy it!